With 2019’s CES trade show now only days away, there’s been no shortage of speculation as to Samsung’s plans for announcing new 5G devices at its Monday evening media event. But one such device, named “Bolt,” has turned out not to be the exciting 5G variant of the Galaxy S10 some were expecting — it’s actually a less glamorous 5G hotspot. The Bolt name was spotted inside recent Galaxy Note 9 firmware alongside a reference to Qualcomm’s SM8150 chipset, more recently renamed Snapdragon 855, as well as hints that it will run Android 9 Pie with Samsung’s Experience software. Those pieces of information led some observers to conclude that Bolt was one of Samsung’s multiple mysterious 5G smartphones, which have recently been teased without names by carriers including Verizon and AT&T. But the firmware also referenced the obscure model number “SM-V570V” for Bolt. After checking the Wi-Fi Alliance’s certification database, it’s clear that Samsung has registered two versions of a battery-powered mobile router. One is called the SM-V570N, the part number for the company’s first 5G mobile terminal introduced in South Korea. 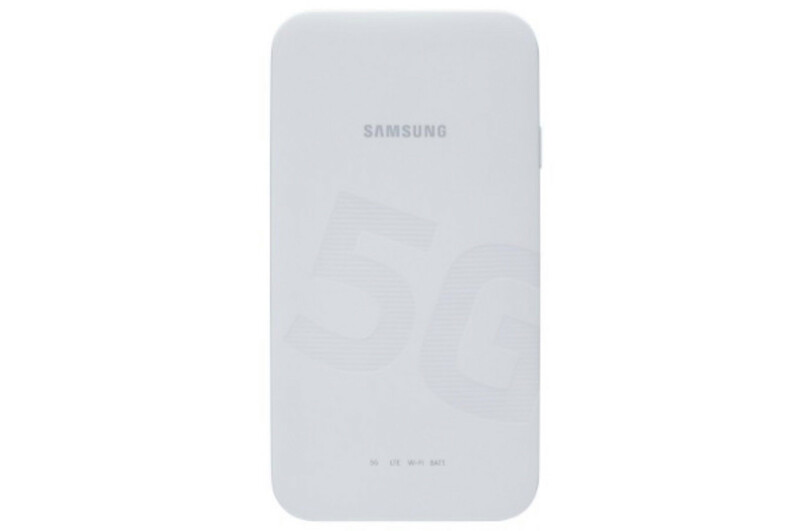 The other is SM-V570V, which appears to be virtually identical in Wi-Fi functionality, offering Wi-Fi 5 (802.11ac) and WPA2 Personal support. Two key differences between the models are their 5G chipsets and network support. South Korea’s model appears to use Samsung’s own Exynos 5G modem, and works with 3.5GHz radio spectrum allocated to 5G in that country. Qualcomm’s Snapdragon modems, by comparison, are designed for use on millimeter wave or sub-6GHz spectra, both of which will be used in the United States. The “V570V” could be a model specific to Verizon, which is expected to add both hotspots and smartphones to its 5G lineup this year, following AT&T’s launch of Netgear’s Nighthawk 5G late last year. Expect more news on Samsung’s 5G Bolt over the next couple of months, as new 5G devices will be unveiled at both CES and Mobile World Congress. Samsung is likely to hold off on announcing its flagship Galaxy S10 phones until after CES.